This summer the Dengie Nutrition Team have seen many horses that have gained weight year on year. This is an increasing trend and equine obesity has been receiving lots of attention. For the sake of our horse’s health and welfare it is important to keep an eye on their bodyweight and put a stop to the expanding waistline. Here the Dengie Nutrition team explain why winter is a great time to encourage weight loss in your horse or pony along with information on lower calorie, high fibre feeds. Being obese puts stresses and strains on the horse’s body – not least their joints which can affect long term soundness and the ability to exercise. Obesity has also been linked to an increased risk of laminitis, especially in those individuals with underlying insulin dysregulation. Why is winter a good time to encourage weight loss? As winter progresses, grass is generally less energy dense as it is more mature. Colder weather slows grass growth and as it is continually grazed there is less to eat. 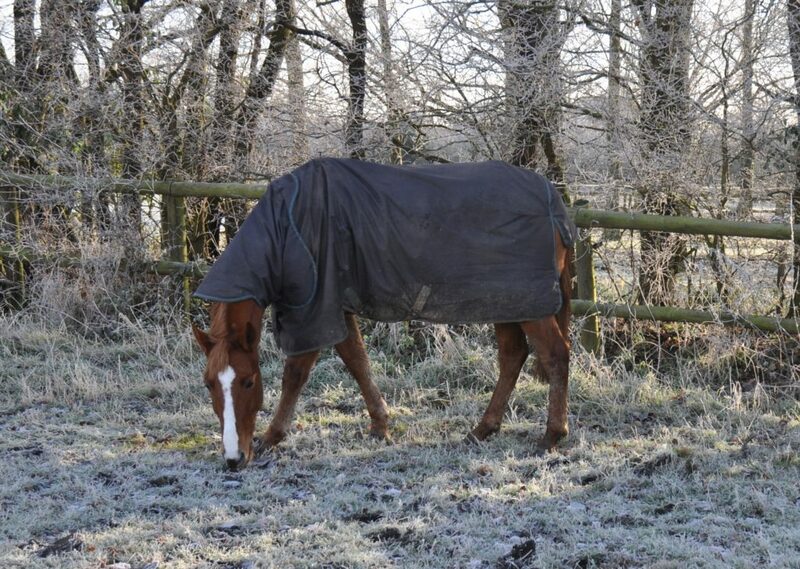 This combined with your horse having to use more energy to keep warm in colder conditions, if they are not rugged, means that it should be an easier time of year to encourage weight loss. Dengie nutritionist Tracey Hammond, M.Sc (Dist) provides some top tips for managing weight loss click here. Whilst UK pasture and forage supplies plenty of calories it does lack certain trace minerals including copper, zinc and selenium. Relying on conserved forage and less grazing during winter may mean your horse also misses out on vitamin E. If you also soak your forage good quality protein could also be lacking. 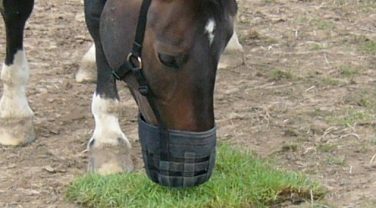 Whilst horses that need to lose weight don’t need the calories from a bucket feed, they do still need one to supply good nutrition. A low calorie fibre feed supplemented with a supplement or balancer is a great way to promote chew time and variety whilst supplying a balanced ration. Hi-Fi Molasses Free combines chopped and pelleted alfalfa and straw with a light rapeseed oil coating and the added herbs mint and fenugreek. 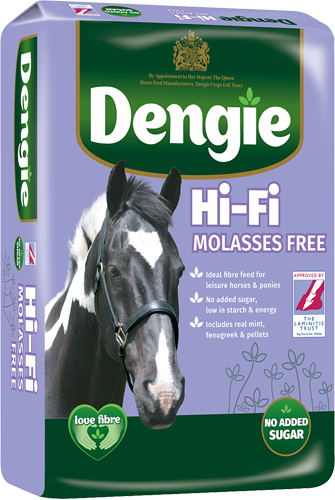 Hi-Fi Molasses Free supplies 8.5MJ/kg digestible energy and is suitable for horses and ponies in light work that need a low sugar and starch feeding regime at only 2.5% and 1.5% respectively. Hi-Fi Lite contains chopped straw and alfalfa with a light molasses coating. At 7.5MJ/kg Hi-Fi Lite is a really low calorie fibre feed and is useful for replacing some of the forage ration if only higher calorie forage like early cut hay or haylage is available. Hi-Fi Lite supplies only 7% sugar which is less than average hay at 10%. Healthy Hooves Molasses Free is a low-calorie, nutritionally balanced complete fibre feed supplying essential vitamins and minerals, as long as the recommended levels are fed. Chopped and pelleted alfalfa is blended with straw with a light rapeseed oil coating and garlic. Packed with B vitamins, including Biotin, which are essential for hoof health, Healthy Hooves Molasses Free contains no added sugar and is naturally low in starch making it ideal for those prone to laminitis. For horses and ponies in light work Dengie Leisure Vits & Mins or Dengie Leisure Balancer can be added alongside to balance the ration. Leisure Vits & Mins is a powder supplement whilst Leisure Balancer is a pelleted feed which is great for fussy feeders.